Buying train tickets is like a box of chocolates. You never know what you’re going to get. It could be a good experience with one particular train company or a terrible one with a different operator in the same country. Then it all changes again when you visit another part of the world and you won’t know what you’ll get there either. Captain train gives you the opportunity to book train tickets with several European train companies without having to deal with them individually. So it’s intriguing to come across the Captain Train website for the first time with the bold headline of “You are going to love buying train tickets”. Am I really? Is that even possible? Let’s have a look. You’re required to create an account before you can do anything. While this obviously isn’t the best user experience, it doesn’t necessarily mean the company can’t be successful in delivering a great service to its customers. For example, a client I previously worked with also required customers to create an account to see any of their products and still managed to acquire over 4 million users. As of March 2014 Captain Train had approximately 200,000 users but it now has over 1 million users. I know you may be thinking “well, if they didn’t require registrations, they would have millions more!” but that may not necessarily help. Email is the most powerful marketing channel available. For example, most of the $690 million President Obama raised online came from emails sent to subscribers and supporters. Forget about social media. Email is still the number one marketing medium online. That’s why they want you to create an account but it isn’t all about greed. In theory they can provide a much more personal service. Having not actually ordered a ticket with them, I can’t comment on what Captain Train do but as they want to make you love buying train tickets, I’m sure they only have good intentions to help you and improve your experience. As you need to create an account, Captain Train need to convince you why you should create one as they will want to reduce the number of people leaving at this point. After all, it will turn people away. They have to create some trust in order for people to allow them into their inboxes and to get over the hassle of having to create an account, no matter how easy it seems. Captain Train uses social proof by letting you know how many people use their service. Imagine if you’re a bit skeptical of having to sign up, this figure will help you decide it might just be worth it if that many people have signed up before you. Another tactic Captain Train have used is their own guarantee which is list of 4 simple reasons why you should sign up. Each reason has a link to find out about it in more detail. This is great for those who are curious but not necessary for those who don’t. The green checkmarks add a positive visual design to reinforce each reason. If you’re still not convinced by the 1+ million users and the Captain Train guarantee, there’s a section that literally spells out the one question people will be thinking. Even though this section repeats some points made earlier, it reinforces them and introduces other benefits like accessing everything on multiple devices and better customer service. If you follow the link on the testimonials reason in the Captian Train guarantee you’ll see they creatively use favourites they mark on Twitter. Cheaper and easier: No extra development required. A Simple embed or link to the favourites section of the Twitter account is all that’s needed. Very easy to add new testimonials. Unsolicited praise: Twitter users sharing their positive experiences haven’t been asked to do so. They are doing it simply because they are so happy to tell the world. Authenticity: Peoples’ Twitter accounts feel more authentic. Images of the person giving the testimonial is known to increase trust and with Twitter they get that and more. A select few testimonials have been included at the bottom of the page for those who don’t go exploring. The Captain Train design takes a two column approach I can’t recall seeing on any other ticket booking websites. The left column is the standard search details you expect and I like to call the right column the “contextual column” because it changes depending on the action you want to complete. When you land on this page, nothing is filled in of course. 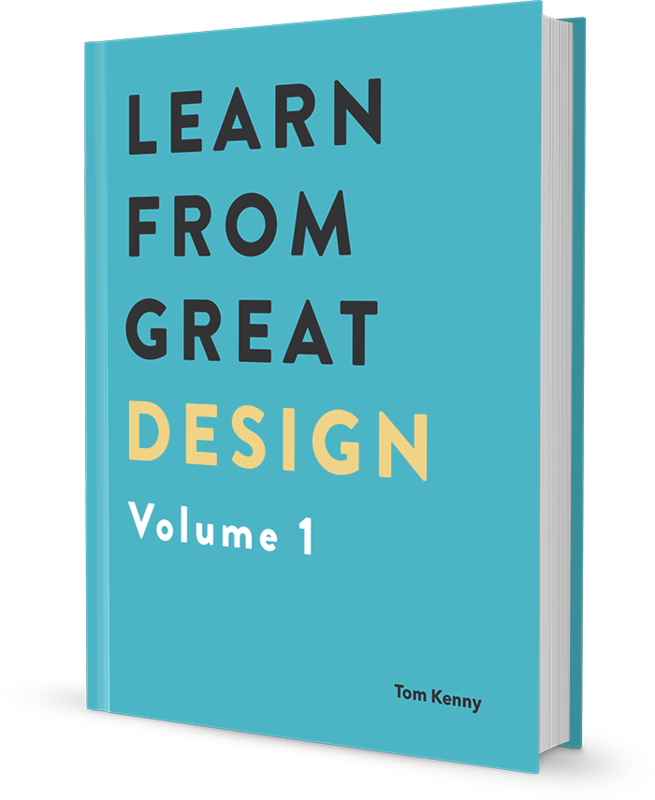 This is a good opportunity to help people get started and often missed by designers. You’ll see how useful the right column is when we explore the search process more but even before you’ve started it lists the frequent searches. I live in London, so chances are I probably want to book a train from London to Paris and there’s a button to greet me that fills in those details with one action. If you do need to choose different stations, it couldn’t be easier. When you select the from field, it gives you a list of stations to choose from before you’ve even typed anything. Booking a ticket from London to Paris required no typing! Forms are boring and a pain to fill out. Showing popular options to choose from without having to manually fill them out speeds up the process for the most common use cases. Also benefiting speed, when the departure station is chosen, the “To” field is immediately in focus and you can now select from a list of popular arrival stations without selecting the field manually. I love attention to detail like this! First impressions are important, so consider the design of a service even before anyone has filled in any information. If you can improve usability for most people by providing them with a button that fills out two fields like Captain Train have, then do it. If you do have to type a location, the contextual column changes to provide suggestions based on what you’ve typed. Now you may not think the search button is anything special but once you press it you’ll see some great design in action. When actions require some sort of loading time, such as searching for train routes, provide some sort of feedback to the user to let them know something is happening and the more obvious you make the feedback, the better. Upon pressing Captain Train’s search button, it morphs into a progress bar giving you immediate feedback while you wait for the results to appear. You can’t miss it. Including a visual indicator reduces the perception of time it takes to wait. For example, if it takes 5 seconds for results to appear, the visual indicator will make it seem less than that as it provides your mind with a distraction but it also informs you of how long you’ll have to wait. Well, actually this is where the search process stops but the next sections appears below without refreshing the page while automatically scrolling you into position. The scrolling animation nicely informs you that you can just scroll back up to change your search details and search again. Much better than clicking a back button and waiting for everything to load again. Eurostar have squeezed their search form into as small of a space as they possible can so giant promotions can take up most of the screen. I’m sure the designers have fun designing each individual promotion but they need to challenge the way Eurostar’s homepage is designed and they could do well following in the tracks of Captain Train. The only good thing they do is populate the to and from fields with what I assume is the most popular route. Other than that, it’s a mess. I’m not saying it’s terrible design but it’s clear why Captain Train is a subject from Learn from Great Design and Eurostar isn’t. Obviously I’m not going to buy an actual ticket to test the Captain Train’s payment process but what we can see is an extremely simple payment form. It’s one of those forms where you think to yourself, “why aren’t all payment forms designed like this?!”. It’s so simple, there isn’t anything else to say about it. That was the bold claim when you first meet Captain Train and they weren’t making it up. I certainly will love buying train tickets with them instead of other companies, that’s for sure.